Mikael invented chamberflags and sold them for 150 SEK (15€) and spent 100 SEK (10€) of each sale to our fighting fund. He distributes them only on matches, not online. 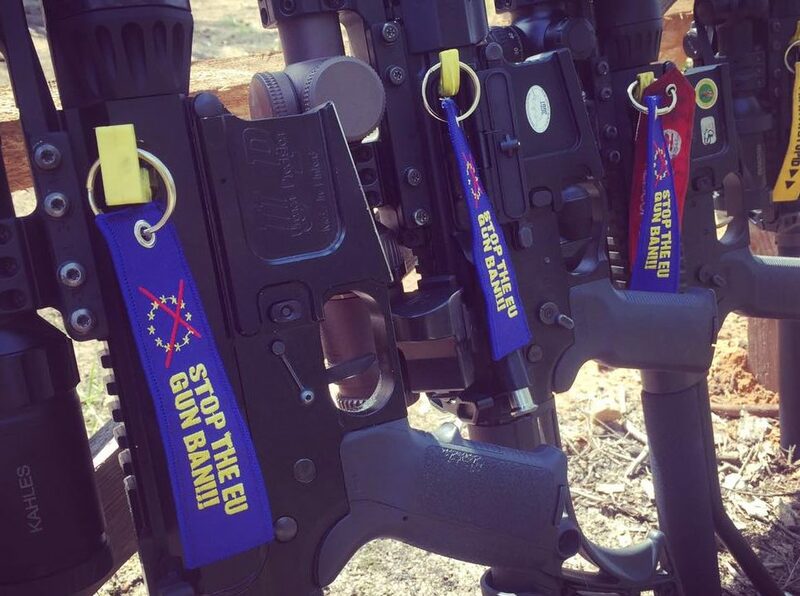 But he offers design and contacts for all who want to copy this action – as long as 2/3 is donated to FIREARMS UNITED. So if you wanna copy this action, contact your national chapter or partner. We invest small sums for advertising, flyers and also travel costs to Brussels. From 11th to 13th of July several of our team members will be in Brussel to meet MEPs before IMCO is voting. As we wrote last week, some of the compromises need rejection as they only produce more red tape. We are also in direct contact with MEPs who support our cause as well as with national organisations who have their own contacts. Stay tuned next week as we will update new informations from Brussels ASAP. 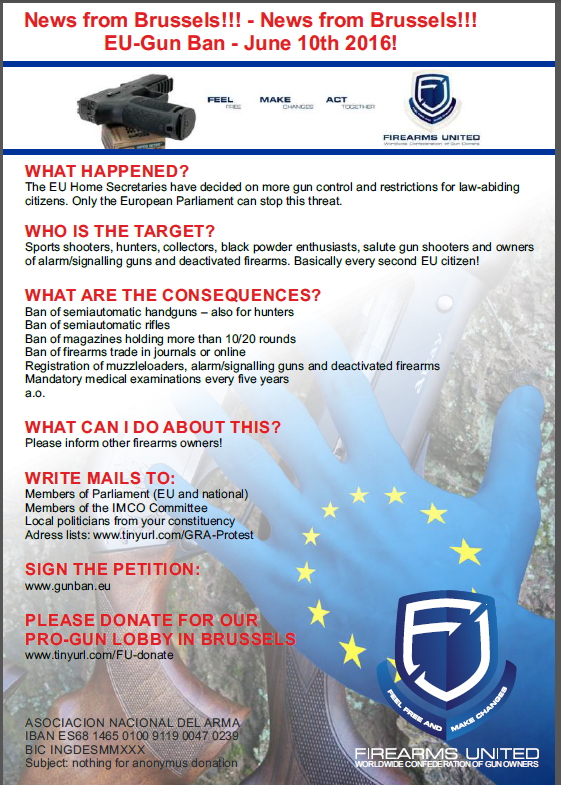 Our chapter in Austria printed 5000 flyers and found gunshops who spread them. Our national chapter in the Netherlands copied the English flyer. 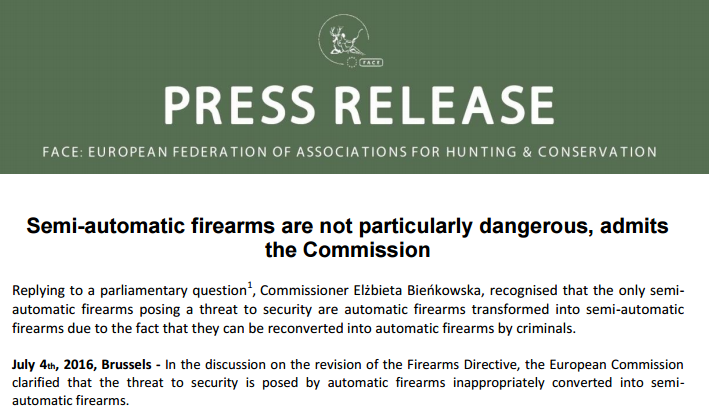 Our partner in Germany has been declared as „THE German gun lobby“ which is able to oppress the Minister of Interior on TV. 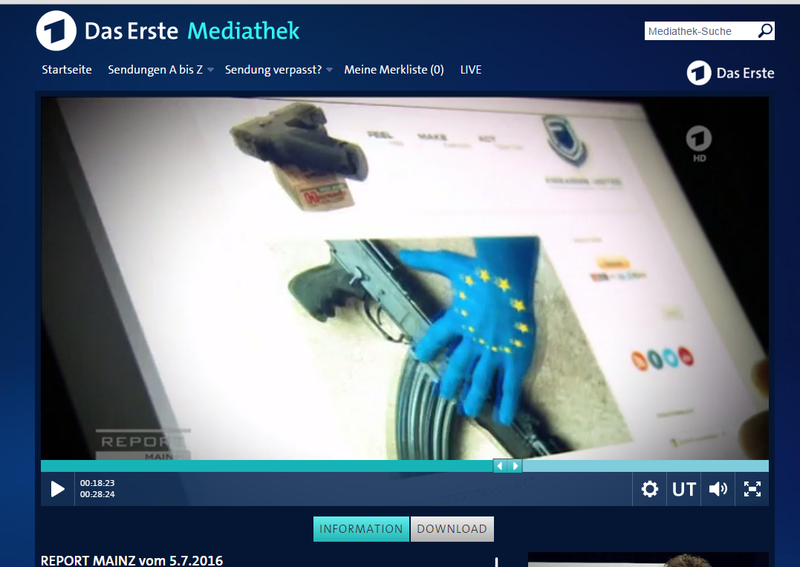 Seems our donation impressed some people in Brussels who have anti-gun friends in the German media. Our partner wrote a review of this biased report which has been paid by taxpayers. Here the automatical English translation.